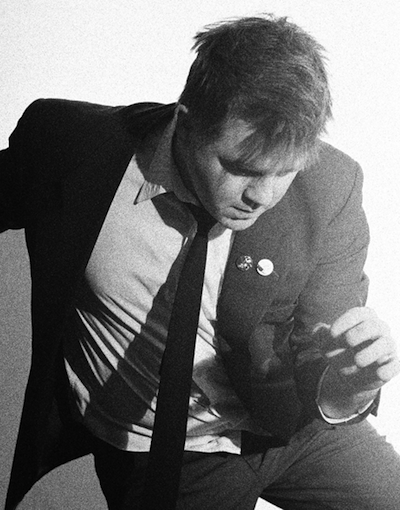 Three years after their last LP, LCD Soundsystem are back with a new album: This Is Happening. The band, spearheaded by producer James Murphy (co-founder of New York City electro-dance label DFA Records), is coming on strong with their new material and remixes are starting to pop up around the internet. Formed in 2002, LCD Soundsystem released their first album (a double-album containing a disc with re-releases of previous singles and a disc of original music) in 2005 and its follow-up, Sound Of Silver, in 2007. Their music can be described as a mix of alternative dance and post punk, along with elements of disco and other styles. If those words don’t mean much to you, listen to “Someone Great”, taken off Sound Of Silver, to get a clearer idea of what LCD Soundsystem sounds like. Until we get a chance to listen to all the tracks on the new album, we can still rejoice in some older material. In 2009, LCD Soundsystem released the single “Bye Bye Bayou”, which was remixed by Turbotito (formerly one half of Guns’N’Bombs). This downtempo remix captures the spirit of the original and turns the song into a mantra-like hypnotic track. Bringing vulnerability to the dancefloor, Turbotito strikes just the right chord.